I may not photograph families that often, but when I do, I get to photograph the cutest families. 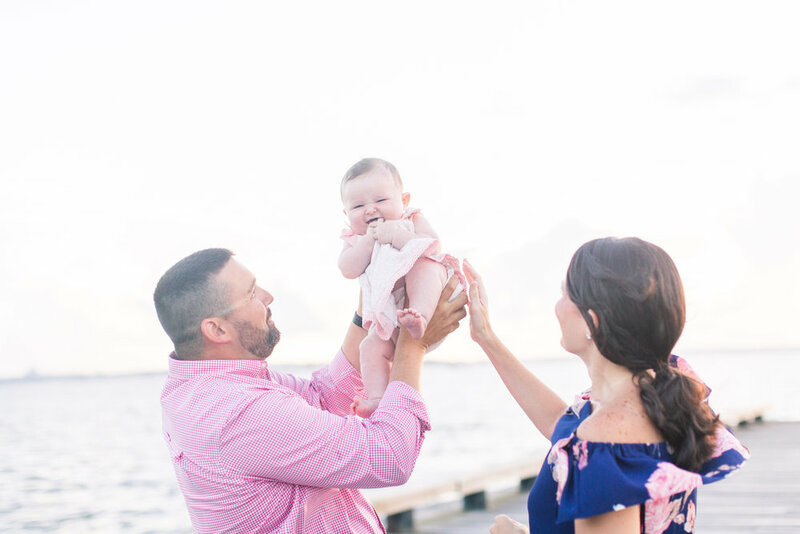 This family drove down to Charleston for their session, and I’m so glad they did! We met at sunrise at Rainbow Row. Whitney picked out the perfect outfits for her family for this area. I just love the pink against the colored houses! Whitney & Ricky’s little girl was as sleepy as could be, but she did so good and gave me the cutest faces. So precious, y’all.